Hospital, legal, architecture, banking, insurance, finance, automotive and government services are just a few of the industries needing Records Management services. If you have documents, files, and cartons A and P Records Management is the place for you. We convert un-inventoried stacks of chaos and disorganized file areas into an organized and catalogued system of your assets. Why Choose A and P? The management of records is often given very little attention. However, it requires valuable staff time and leads to other expenses such as labor and administrative, storage shelving, rent, and utilities. As space availability decreases in your office or home, it can become increasingly difficult to organize and retrieve your archive files. You can get maximum value and utilization out of your office space by storing your files off-site at A and P Records Management. Our services are highly secure, cost effective, and saves you money. Advanced records management software to manage your business documents. Free 24-hour web access to securely monitor and manage your account, from any computer. 45,000 square foot code compliant, modern day fire sprinkler systems; and 24 hour security alarm system in place that is directly connected with police and fire departments. All A and P Records Management employees have gone through a criminal background check. Pickup, Delivery, and Rush services offered. Data backup performed continuously to an online encrypted data source. Secure, permanent destruction and shredding of sensitive information done on-site. A and P Records Management customers only pay rent for the space their carton occupies. Normally companies pay up to 50% more in unutilized storage or office space expenses through self storage units or existing office areas. You only pay for the carton space you actually use – nothing more. Storage services at A and P Records Management are less expensive than a self-storage facility and also more secure. We give customers peace of mind knowing their files and cartons are catalogued, safe, and saving them money. Since 1990 A and P Records Management has been protecting the information and financial assets of Sonoma, Marin, and San Francisco businesses. A family owned and operated company, we store, protect, and manage business records and archives. We have over 45,000 square feet of space available in our clean, secure, state of the art North Bay warehouse in Marin County. Together Darin Aman, and Dale Aman, founders of A and P Records Management have built the Company from just one carton to over hundreds of thousands of cubic feet of business records. 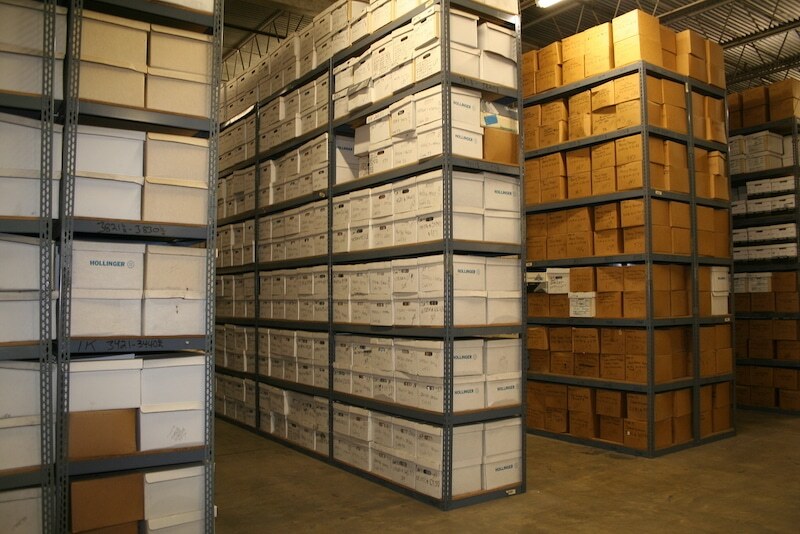 It is the premier Records, Documents, and Archive storage program in the North Bay. Prices are competitive, services outstanding, and A and P Records Management has demonstrated its ability to properly manage a company’s assets efficiently. The management of records is often given very little attention. However, it requires valuable staff time and leads to other expenses such as storage shelving costs, rent, and lighting. As space availability decreases in your office or home, it can become increasingly difficult to organize and retrieve your archive files. You can get maximum value and utilization out of your office space by storing your archive files off-site at A and P Records Management. Our services are very cost effective and will save you money. What sets A and P above the rest is the incorporation of customer service into the management of your archive material. We are dedicated to servicing customers with a full-time staff that are specially trained in total quality management. Employees are subject to strict background checks and must sign a confidentiality agreement before being hired. 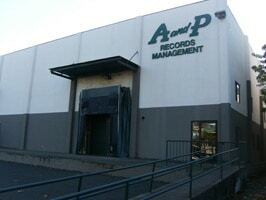 A and P Records Management is licensed, insured, and bonded. A and P Records Management is Diamond Certified – the symbol of very high customer satisfaction. What does it mean to be Diamond Certified? Diamond Certified contacts a company’s entire customer base and asks each to rate how satisfied they were with the value they received. To ensure that the research results truly represent the company’s customer satisfaction level, a company cannot choose which customers are surveyed. Companies must score Highest in Quality in customer satisfaction, a 90+ on a 100 scale, and pass all of the credential-based ratings. By requiring such a high score to qualify, poorly performing companies are eliminated. A and P Records Management, the only Diamond Certified Records Management company in Marin County, has been Diamond Certified since 2008.
Business records contain operational, financial, and legal information. They also generate risks, with costs and management challenges. A and P Records Management gives customers peace of mind knowing their files and cartons are catalogued, safe, secure, and saving them money and time. What sets A and P above the rest is the family oriented incorporation of customer service into the management of your archive material. As a family owned Records Management Company, we are dedicated to servicing customers with a full-time staff that are specially trained in total quality management. Because of our commitment to service for our customers, A and P Records Management continues to be the largest records management company in Marin County. Reduce costs, reduce risk, save money, save time. Contact A and P Records Management today.